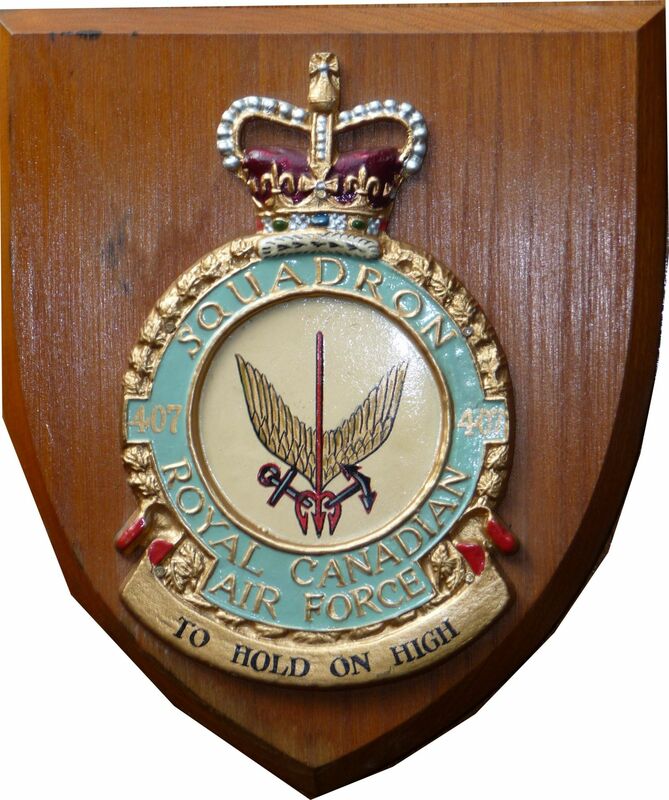 I was stationed with 407 (MP) Squadron at R.C.A.F. COMOX from 17–March–1955 until 8–Oct–1956. No. 407 Maritime Patrol Squadron primarily used the Avro Lancaster at that time. During the time I was stationed at Comox my job was to participate in day–to–day maritime patrols as well as to liaise and understand the functions of the key operational units at the base (all in preparation for my end target posting of RCN station Esquimalt). We did a lot of practice bombing and sonobuoy drops. I again had the job of navigator. We flew mostly around the BC coast, but did go up to the Arctic and down to Miramar, Arcata and so forth. This exam was given annually. I’d failed it in 1954. My training at Summerside and extending into the early days at Comox made 1955 a bad year to re–take these exams. However summer of 1956 I took the exams and passed. Finally! We had a nice house at 1351 Grieve in Courtney in a new housing division. Bea had a lot of fun with the stick shift on our family car negotiating the steep hill within the town proper! I was promoted to S/L effective 1–January–1956. After basic maritime air training at Summerside and in–person exposure with the 407 maritime patrol squadron at Comox I was ready for my next assignment at the Canadian Navy's Maritime Command Pacific base of Esquimalt. 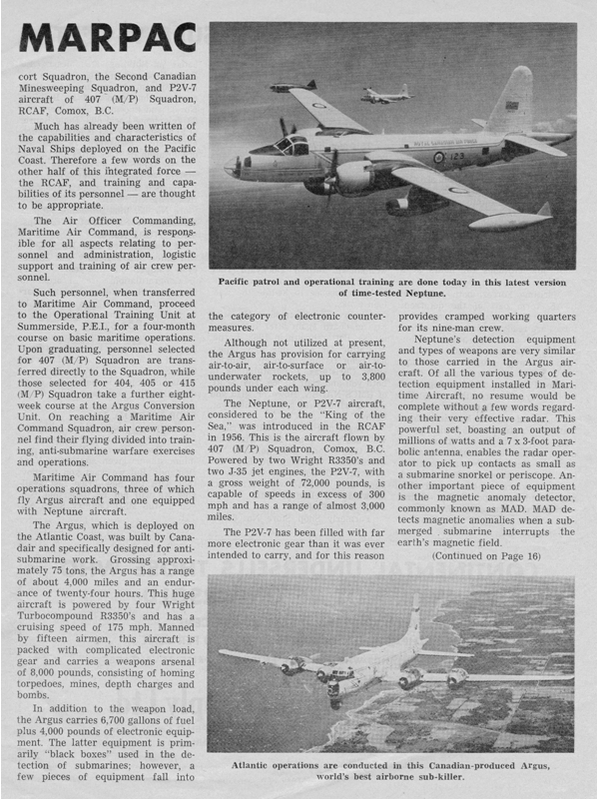 My position was MAC (Maritime Air Command) Liaison Officer attached to the navy’s Flag Officer Pacific based in Esquimalt BC on Vancouver Island. At that time there were two components to the Esquimalt base – the (HCMS) Naden facility and the (HMCS) Dockyard where repairs and refurbishments were made to the navy’s vessels. I was located in the Naden facility. 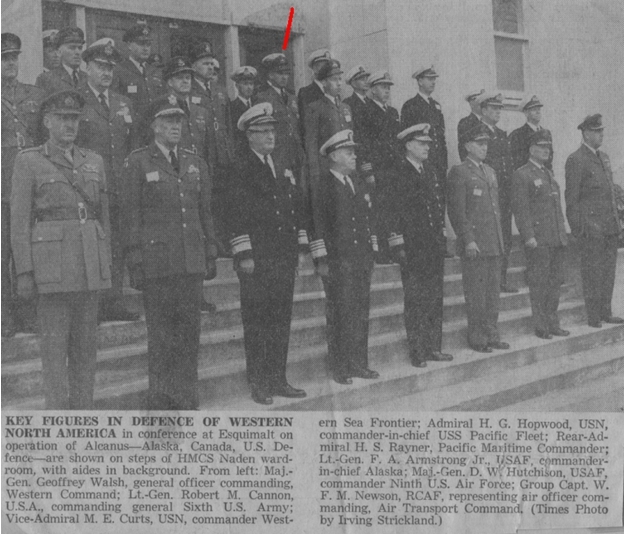 I was posted in Esquimalt from 9–Oct–1956 to 25–July–1962 – the longest posting of my military career. And then of course there were numerous operational and staff meetings that I had to attend to as air force liaison. S/L Hubert Brooks is located back–center under the red line in the newspaper photo below. 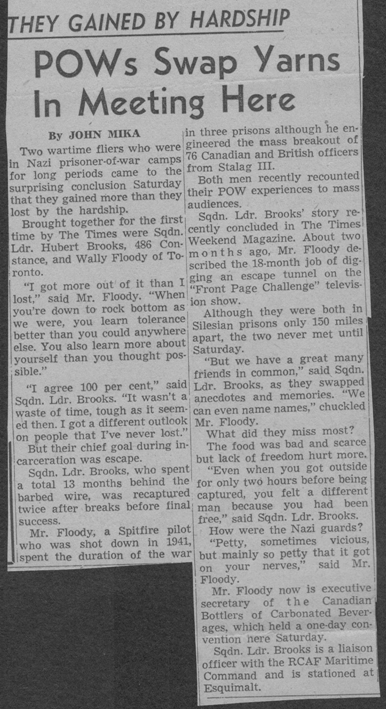 For the balance of 1956, then into 1957 I continued from time to time accumulating flight hours out of the Comox Air Force base. It was a simple matter to drive from Esquimalt to Comox on Vancouver Island. I continued my role as navigator on Lancaster and C–45 aircraft. At the end of 1957 and then again at the end of 1958 I passed again my annual aircrew proficiency exams. In 1959 the aircraft was upgraded to the P2v–7. 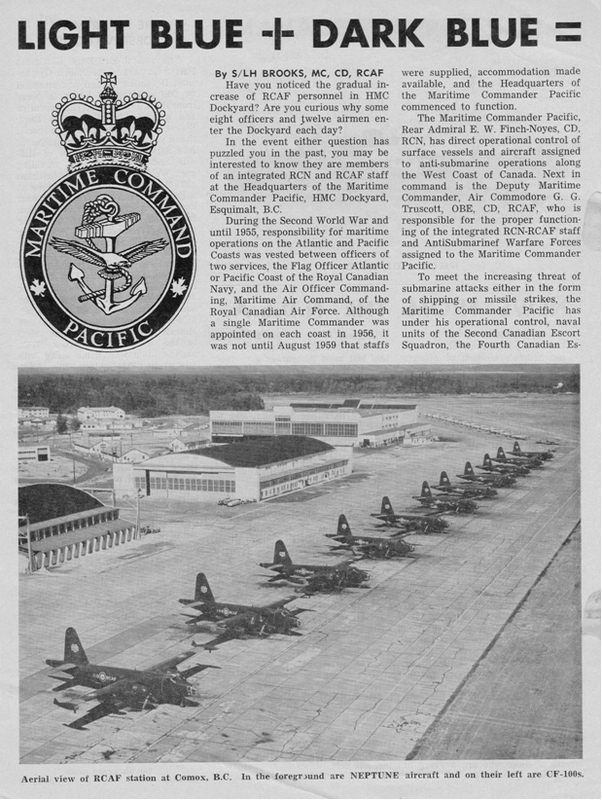 I continued to fly out of 407 Squadron Comox but now took my proficiency exam with 121 Composite Unit out of RCAF Station Sea Island (later renamed RCAF Vancouver). This was the case for 1960 and 1961. 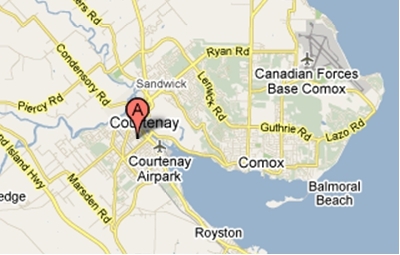 My last flight out of Comox for this posting was 5–July–1962 on a P2v. 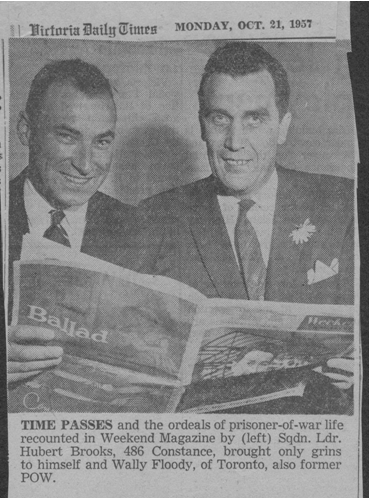 It was during our stay in Victoria that I wrote a two part article on my wartime activities for Weekend Magazine – an insert in the Saturday newspaper that was seen around the country. Refs: 1.1 & 1.2 I collaborated with Weekend Magazine writer Stephen Franklin but retained all rights to the article as well as any subsequent publication. I got a good response – numerous letters were sent in to the editor. Hollywood came calling wanting to make a movie out of the story. I declined. I did not think they would do the story justice. I’d just seen the movie The Great Escape and was none to impressed with their rendition of the war and was not convinced they would do the story and the war–situation in Poland justice. B.C. and especially Esquimalt was an ideal location to raise a family. After some initial waiting and staying at a house at 486 Constance St in Esquimalt, we eventually moved to the naval married quarters right on the ocean. Our semi–detached house at 425 Moresby Street looking out to the Pacific Ocean served us well for many years. 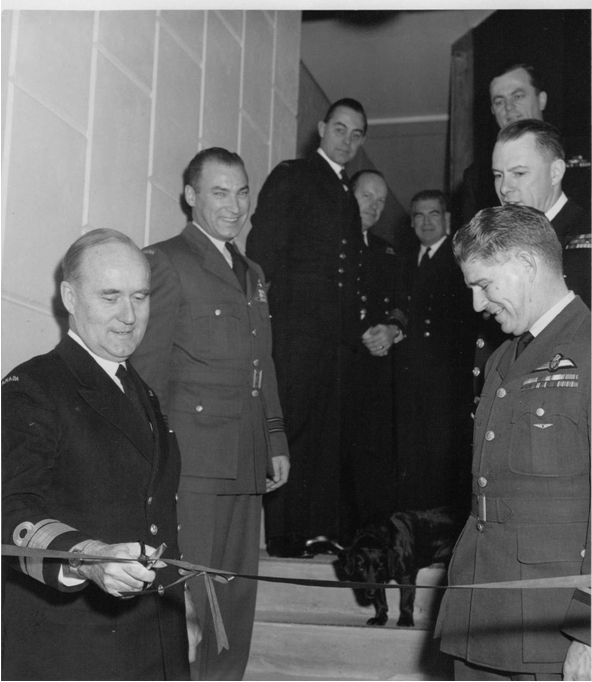 I was to be posted to SHAPE – Supreme Headquarters Allied Powers Europe – in Paris France. I was to be a staff officer in the Intelligence Division. 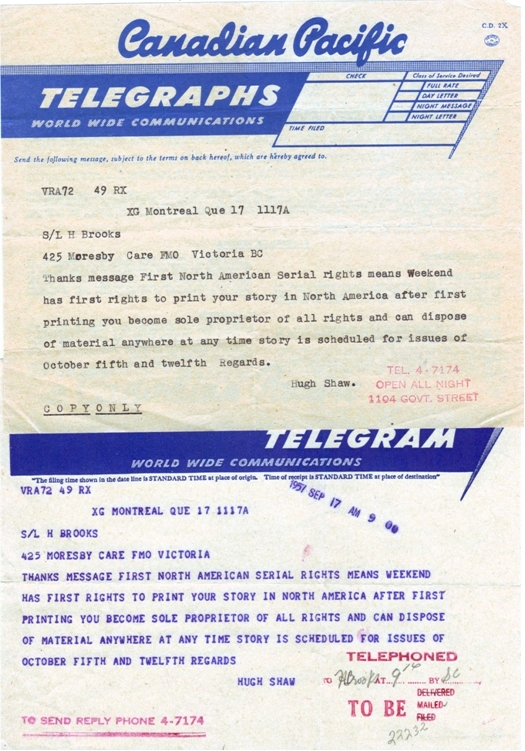 We left Esquimalt 25–July–1962.